I would like to change my eStatement enrollment. How would I do this? Once you enroll or opt out of estatements, you can change your mind any time. To change your estatement options, go to My Info (1) and Select eStatement options (2). You will read the eStatement terms and conditions and scroll to the bottom of the form. 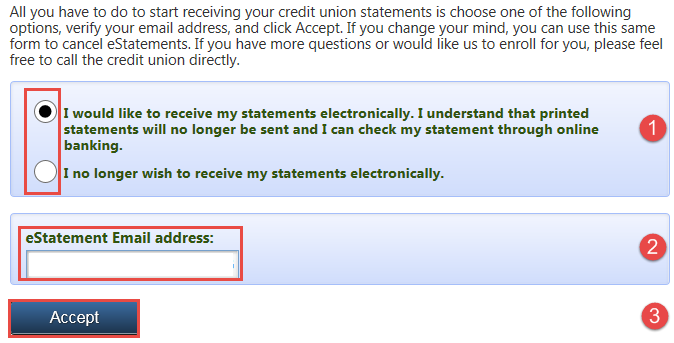 Select your eStatement option, enter your email address (2) and then select the Accept button (3).